A quick post today! 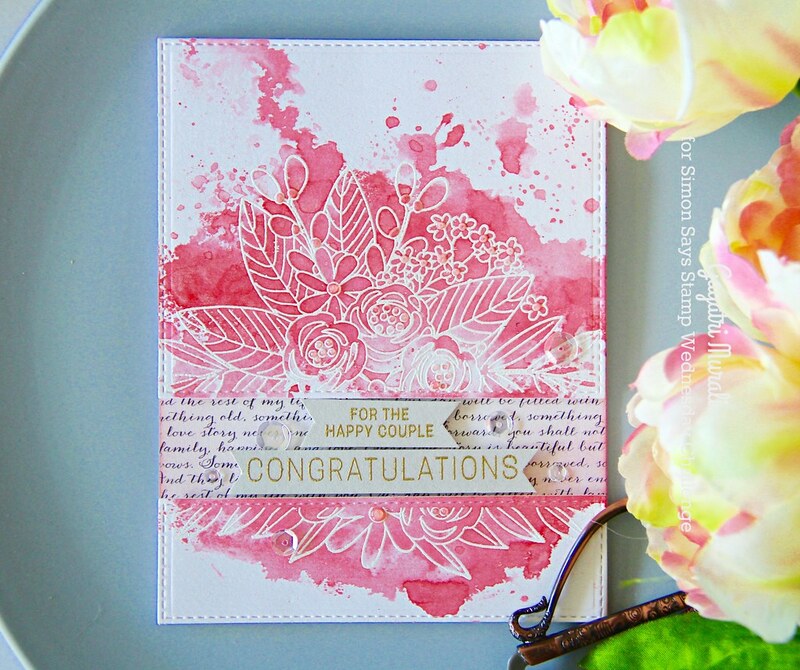 I made a card using Simon Says Stamp Blissful card kit. I trimmed the watercolour paper from the kit to the size of the card front. Mask using masking take at about three quarters at the bottom of the panel. Using MISTI I stamped the flowers leaves cluster above the masking tape using versamark and white heat embossed the image. I stamped the bottom of the cluster below the masking tape using versamark and white heat embossed the image. I removed the masking tape and trimmed the panel. I could have trimmed the panel first and stamped the image. I don’t know why I didn’t think of it earlier!!! I ran a stitched rectangle die from MFT on the top panel to get the stitched detail on the edges and again to get the stitched detail on the bottom edge of the panel. Repeated the process to the bottom panel as well. I smooshed the Worn Lipstick distress oxide ink pad from the kit on the matt, spritzed with some water and smooshed the two panel to get colour on the embossed image. I repeated the process a few times to get layer drying the panel in between. On the card base I adhered the script pattern paper from the kit and trimmed the edges. I adhered the two panel top and bottom using foam adhesives. 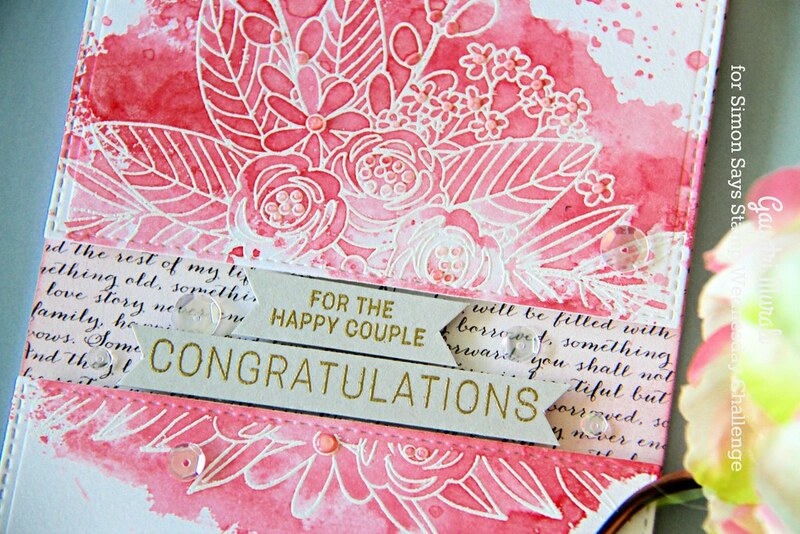 The sentiment is gold heat embossed on strips of Fog cardstock and adhered between the two panels as shown. I embellished the card with sparkly clear sequins and Novo Morning Dew crystal drops.